Happy Thanksgiving, Y'all! Thank you to each any everyone of you who read and follow along with A Mrs Among Magnolias! It means so much to me. 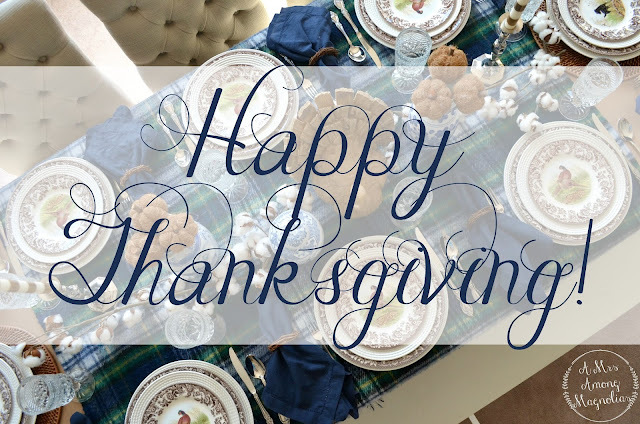 I hope that you and your family and have a blessed and safe Thanksgiving! I hope that you take the time to tell those around you that you are truly thankful for them! There will be no shopping on Thanksgiving here! I am excited to spend the day with family.